Being an advocate for people with disabilities, I took note of the story. It's not a major human rights story, but I suppose it may be a concern -- especially for a person with Downs. This small good news story was refreshing after a bigoted and odious comments by Richard Dawkins last week. 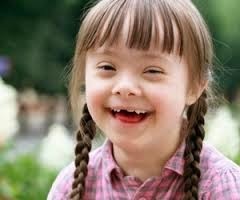 The lofty Oxford professor said it is immoral not to abort a child with Downs. That's how coarse and anti-disability our culture is becoming -- that such cruel comments would come from a prestigious university as Oxford. Inclusion not elimination of people with disabilities of various kinds must be a goal for enlightened society. 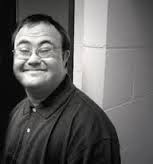 Unfortunately nearly 90% of pregnancies involving babies with Downs syndrome end in abortion. And so a story about a loving grandmother of a Downs child developing a clothing line for people with the syndrome was sweetness in the wake of Dawkins' awful words. 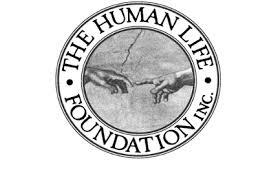 Christians should stand in contrast to such sentiments and advocate for life and inclusion for all humanity as image bearers of God, supporting families facing a prenatal diagnosis of Downs or other disabilities. We can set a standard of inclusion! with disabilities and the accommodation of their needs. Inclusion occurs with accessible housing and transportation, education and recreation, proper nutrition and access to equal medical care to the rest of the population. And yes, it can occur even in the simplest and ordinary aspects of life such as having clothing that fits. It occurs by including people with disabilities and their families in our community and church life. 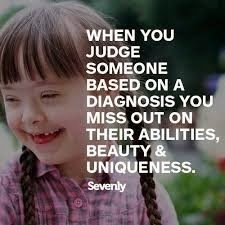 What always infuriates me as the mom of a 12 year old with Down syndrome, many people are very good at inclusion of my daughter, but you stir up all kinds of trouble when you bring up that 90% abortion rate, even among the Down syndrome community. You made the connection, why can't they? Thanks for your comment Leticia.